A listing for 75 E. Second St. arrived yesterday... and the historic building with 10 apartments is being touted as a "dream" single-family residence. Located on one of the most picturesque blocks in the East Village Historic District, this 1868 Italianate brownstone offers both a very appealing opportunity for a savvy investor as well as a future homeowner looking to create the large-scale residence of their dreams in a highly coveted location. 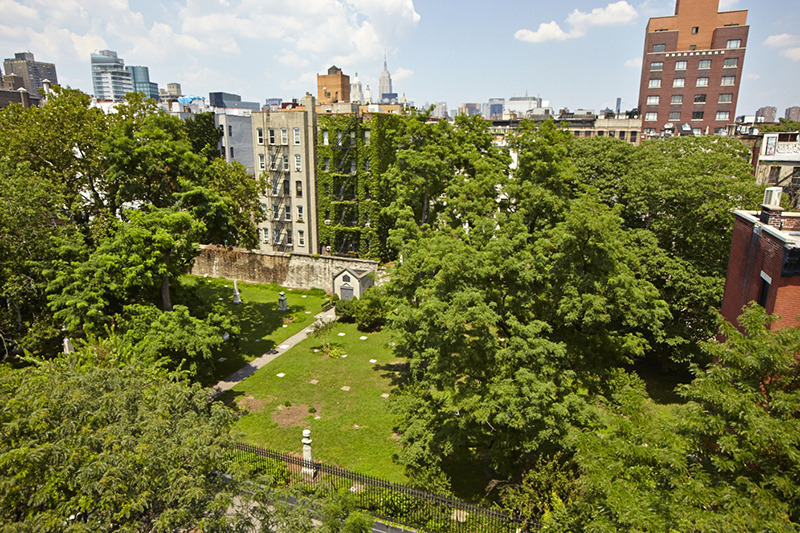 75 East 2nd Street is built 25 feet wide and 55 feet deep with a backyard approximately 15 feet deep. Currently structured as 2- one bedroom floor-throughs per floor on five floors with a full basement with new mechanicals, 75 East 2nd Street maintains a wide and generous footprint and low annual taxes with incredibly attractive options and appeal. The building is currently comprised of 5 rent stabilized rentals along with 5 free-market rentals. 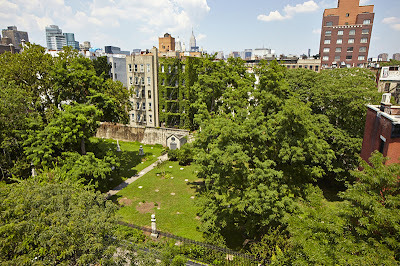 Eighteen large windows face north towards 2nd Street framing views of mature trees, and the elegant ironwork and carved stone of the New York City and National Register Designated Landmark Marble Cemetery, established in 1831. The listing notes that the building has been "meticulously maintained by the same owners for decades." Perhaps it will "continue as a reliable investment" rather than "a splendid personal home for a fortunate new owner." Labels: 75 E. Second St. I live in this building. Can't wait to be kicked out so rich people can move in! Oh no, so sorry 2:01!!! Very sad for the neighborhood. Thanks for the news--might as well know that our buildings are falling. But where to go? Because obviously if you are not rich enough to buy an entire building then your home means absolutely nothing to you, you are merely occupying valuable space and therefore can be evicted like the garbage you are. Chalk up another win for the forces of darkness. Anon. 2:01, my sincere sympathies. Wow- so now entire apartment buildings are being advertised as future 1 family homes for the super rich? F these people. 10 families live there, but if 1 family wants it, then everyone out. Like the "mansion" on 3rd near the Bean where I think 15-16 families lived before. So sorry 2:01! Hope you get a nice landlord who lets you all stay.